Times and fashion keep changing, but elegance is always a trend. That is why we have created our new boutonniere collection with the idea of timeless and classy in mind. We have something for every style and personality, but always tastefully done with all our personal care. We have selected exclusive blooms for the most avant-garde grooms, such as anemones, mini succulents, ranunculus or Dusty Miller. Also, if you are more of a classic kind of person, we have a wide variety of options made with roses, spray roses, carnations, and baby's breath. You like what you see but have a different touch to add to our boutonnieres or corsages? You have something completely different in mind? Don't worry! Our expert design team will listen to your ideas and adapt our boutonnieres or create a completely customized one, just for you. Give us a call or send us an email and we will soon get hands-on! You can virtually choose any flower, any color palette, and any style. 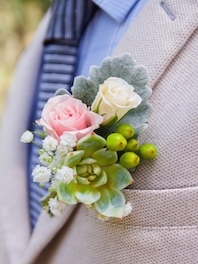 From rustic, to romantic or beachy, we will match your wedding look with the perfect boutonnieres and/or corsages. What are your shipping/delivery/return policies? We accept all major credit cards (Visa, MasterCard, AmEx, Discovery) and PayPal. For registered customers that buy on a regular basis, check payments and wire transfers may be accepted upon submitting an application. Currently we ship to all 50 States via FedEx. We also offer airport deliveries in major Canadian Airports, Puerto Rico and the Caribbean. FlowerExplosion offers a different freight service for other countries. For more information check our international corporate services. Are there special rates for frequent customers? For registered customers who buy on a regular basis, or that are interested on making wholesale purchases, discount rates may be granted. Please visit our Investor relations link or call our sales call center at 1-866-639-0277. How are the flowers packaged? We have four different box sizes. 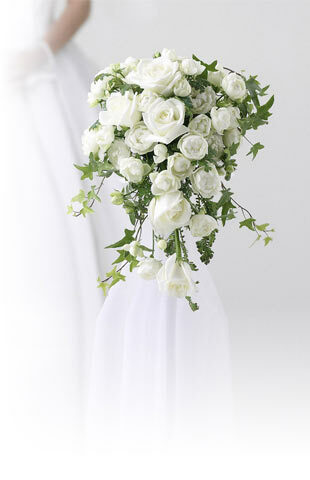 The biggest one can fit up to 200 stemmed roses, on average. Fresh cut flowers are grouped in bunches, hydrated and pre-cooled before being shipped. A time span of only three to four days passes in between the harvesting of our flowers and their arrival to your door. That is the reason why our flowers are so fresh. Get all the latest information on Flower Explosion events, sales and offers. Sign up for newsletter today. Copyright 2018 Flower Explosion. All Rights Reserved.